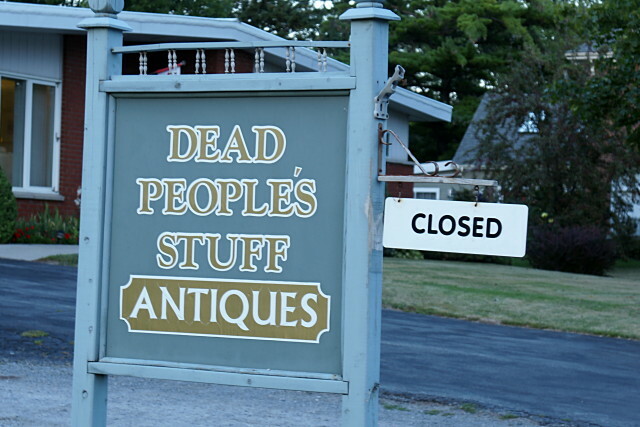 Finally, some truth in advertising; after all, what are antiques if not (usually) the stuff of dead people? 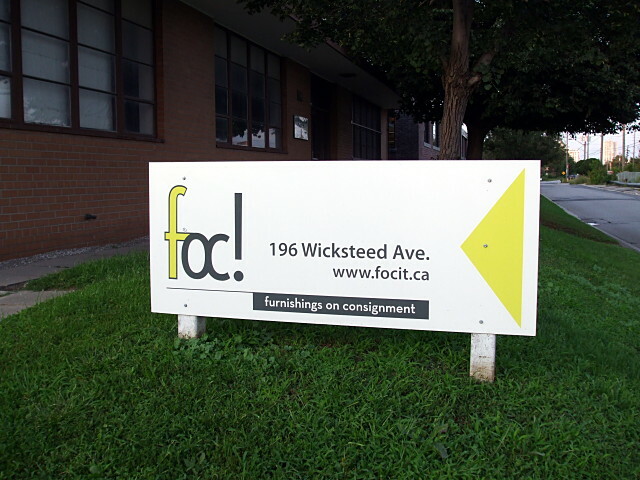 Calling this spade a spade is brilliant (& daft), so “Dead People’s Stuff” in Bloomfield is the clear winner in the race to the zenith (& nadir) of business names I’ve encountered in 2010. I’m not entirely sure how this came to be an annual tradition, but I’ve bestowed the honour (& disgrace) on a different business for four years running. Congratulations (& condemnations). This twisty menace on Twyn Rivers Drive just east of Sheppard in Scarborough is the best hill in town to ride down. 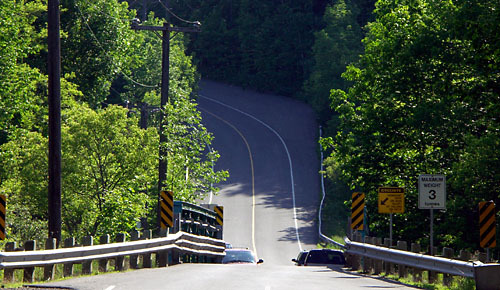 It drops about 33 vertical metres over a short 240 metre run, shooting cyclists out the bottom at close to 70 km/h if they can get around the first two turns without riding the brakes. You can’t get much more fun than that. On the other hand, this twisty menace on Twyn Rivers Drive just east of Sheppard in Scarborough is the worst hill in town to ride up. It rises about 33 vertical metres over a short 240 metre run, sapping cyclists’ will to live as soon as they see that it gets even steeper around the first bend. Yes, the road really does seem to go almost vertical as you approach it. You can’t get much worse than that. 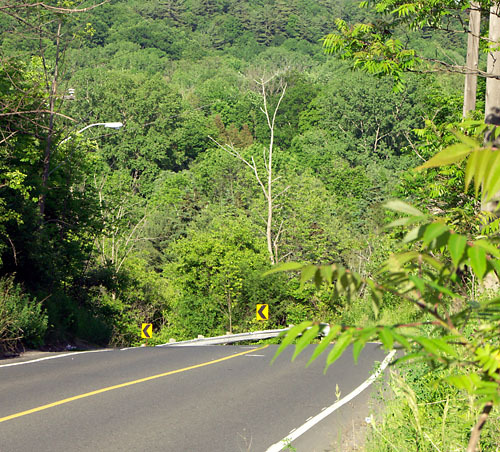 Another fun hill in the area is the one climbing out of the Rouge Valley on the Pickering side of Twyn Rivers Drive. It’s a lot longer and not nearly as steep, so it provides a more sustained thrill going down and a much easier ride going up.